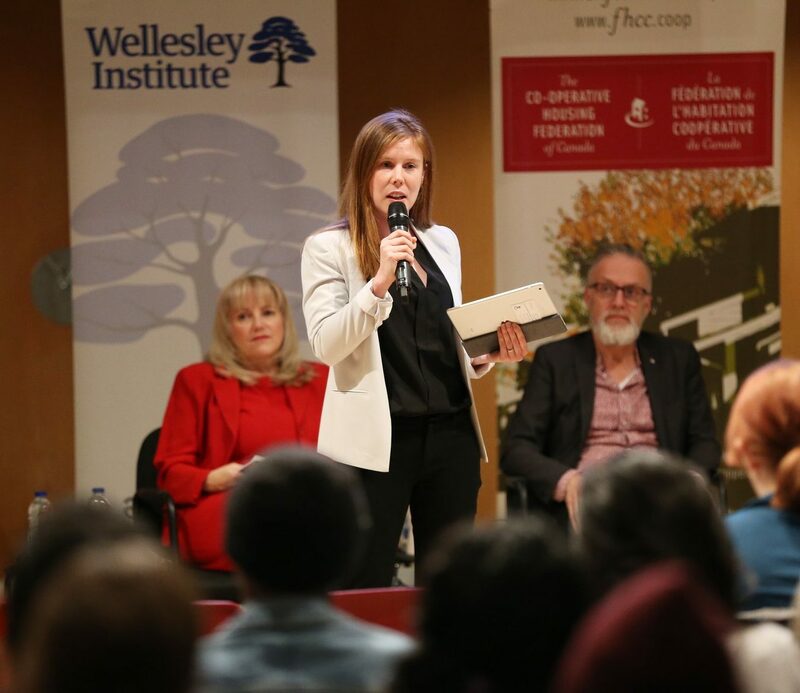 To celebrate National Housing Week 2018, ONPHA teamed up with our partners the Wellesley Institute, the Co-operative Housing Federation of Canada and Evergreen Canada to bring together five housing experts to share their number one idea for solving our affordable housing crisis. 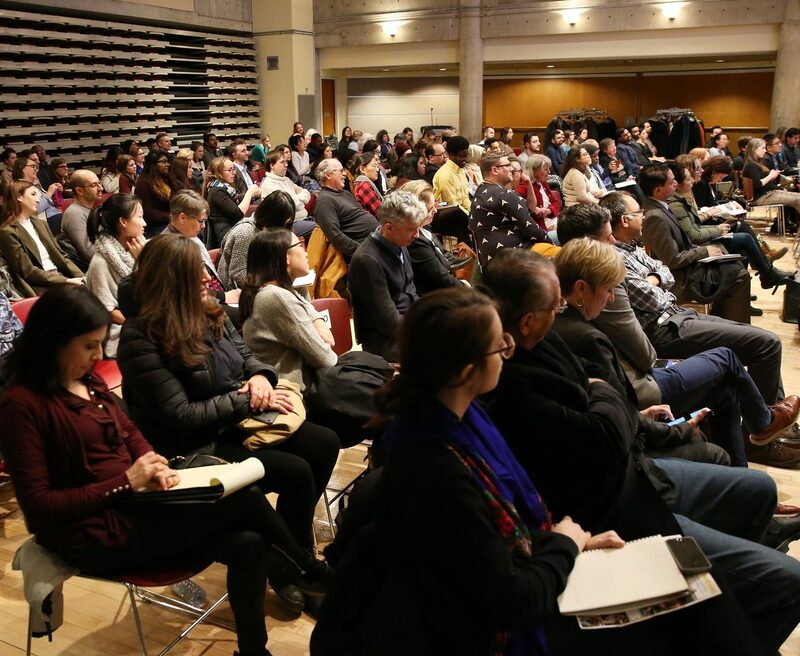 The event Under Pressure: 5 Ideas for Housing Now, took place on November 22. Panelists presented to a full house at the YMCA Central in Toronto, with many more from across Ontario tuning in online through Facebook live. Our hashtag #UnderPressureTO reached close to 90,000 accounts, with many sending in their questions through Twitter. 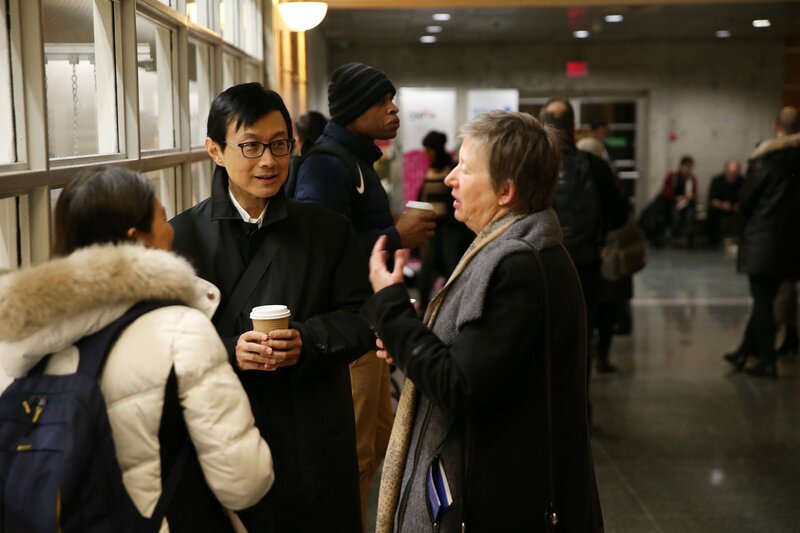 The event kicked off with each panelist presenting their opening statements, followed by a lively Q&A session with the help of moderator Dr. Kwame McKenzie, CEO of the Wellesley Institute. With a new provincial government in place, a National Housing Strategy rolling out across Canada, and a federal election on the horizon, we are at a critical moment to drive change. It’s time to envision a new era of community housing where everyone has a safe, affordable place to call home – and our sector is certainly not short on ideas of how we can get there. Here’s what we heard from our experts. 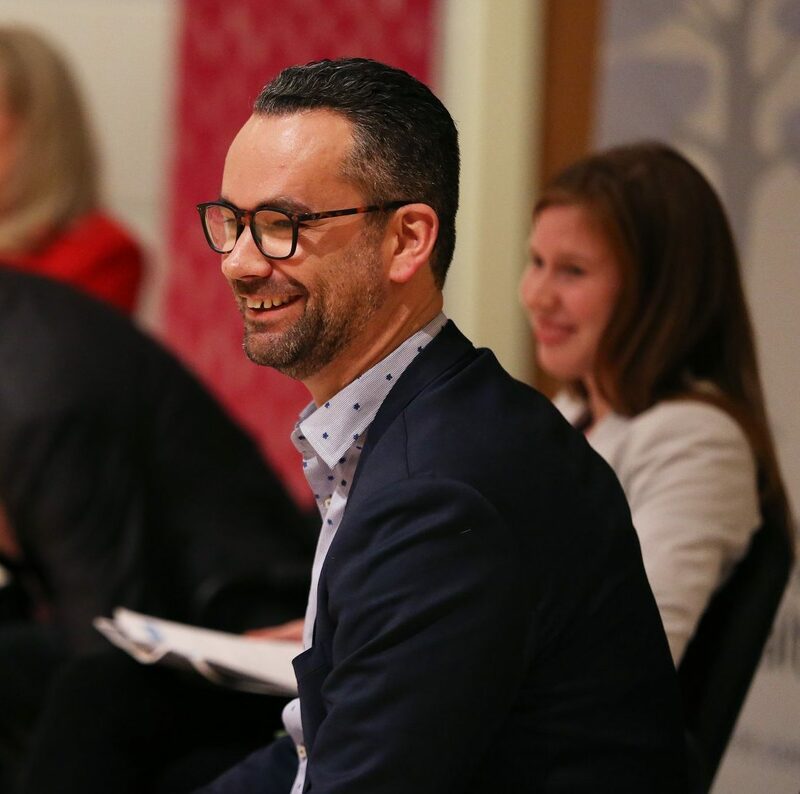 Pedro Barata, senior vice-president of community impact and strategy at the United Way Greater Toronto, kicked off the evening by driving home the importance of the $4 billion federal/provincial cost-shared portable housing benefit. The idea of the benefit is that it’s attached to an individual, not a unit – giving renters the freedom to choose their neighbourhood. The key to the benefit is in the design, said Pedro. During the event, he live tweeted a link to an infographic that lays out how the portable housing benefit can help alleviate income insecurity for Ontarians (view it here – flip to page 77). The portable housing benefit funds are slated for 2020, and Pedro pointed out that the Ontario government seems to be on board. We recently heard from the Government of Canada that they expect all provinces and territories to sign onto the Portable Housing Benefit co-design agreements by the end of March 2019. They have also acknowledged that each province and territory will need flexibility to design the benefit around their unique needs. Simone Swail, government relations manager at the Co-operative Housing Federation of Canada, had us feeling nostalgic as she took us back to a time when Canada invested in affordable housing supply. 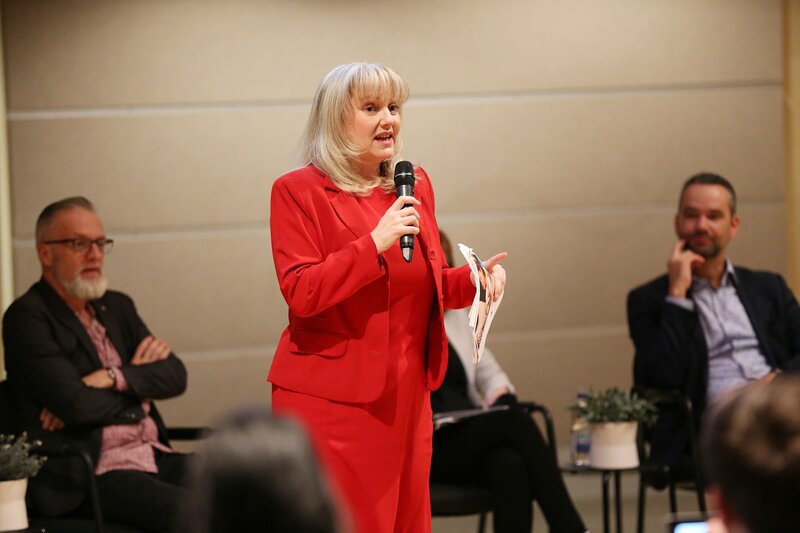 She cited the Auditor General’s report which shows that 90% of private housing developments built by private developers under affordable housing programs were not affordable long-term. 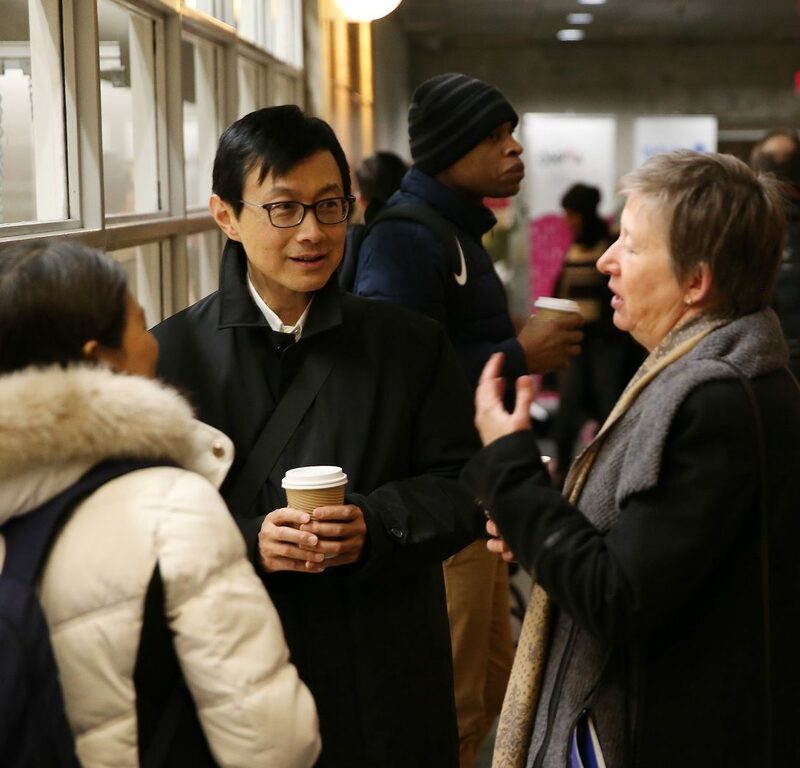 Unlike the private market, community housing has the power to sustain affordability over the long-term because the rent increases are based on what’s actually needed, not whatever the market will bear. There is $400 million worth of assets locked up in community housing that could be leveraged to build more affordable housing (according to a study by Evergreen Canada). So why aren’t we building? According to the 2016 Census, over 37% of young people between the ages of 20 and 34 in Canada’s top cities are living with their parents. A Vancouver study showed that of the young people who are living independently, 74% receive income support from their parents. Where do we even start? Steve suggests we learn from what’s been working abroad. Finland has a national youth housing association that helps to ensure young people between the ages of 18 and 29 have access to below market rental housing, with 15% receiving subsidies and other kinds of supports to help them stay housed. 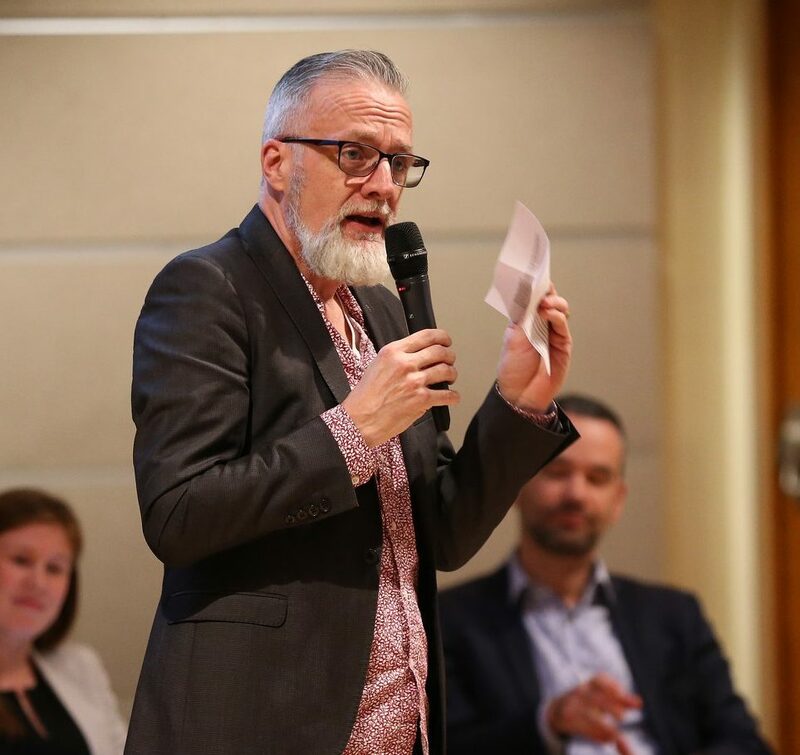 He argued we could legislate that communities support young people who are at risk of homelessness or who are already experiencing homelessness, and give them options to stay in their communities where they are close to friends, family and mentors. To get there, we would need a coordinated and highly-visible access centre, an early intervention model, and other prevention-based approaches that do not include an emergency shelter. For many community housing providers, the end of operating agreements (EOA) means increased flexibility. Some providers are sitting on assets worth millions which can be used to develop and repair affordable housing. This is exactly what Lori-Anne’s organization, Victoria Park Community Homes (VPCH), has done. VCPH has a portfolio of around 2,300 units – half of which have reached EOA. With over $65 million worth of assets just sitting there, they made the decision to leverage their assets and raise a whole lot more. In the last two years alone, they created a $30 million capital plan to regenerate their existing stock and established a development fund to build new units. The regeneration plan is helping them connect with their community and fix up their bricks and mortars. They are now partnering with an organization in Hamilton to train youth who face barriers to employment to do the $30 million repair work. Lori-Anne’s story shows that when given the flexibility, our sector is capable of incredible work. We have the experience and we have the knowledge. So what does she say we need from our government? 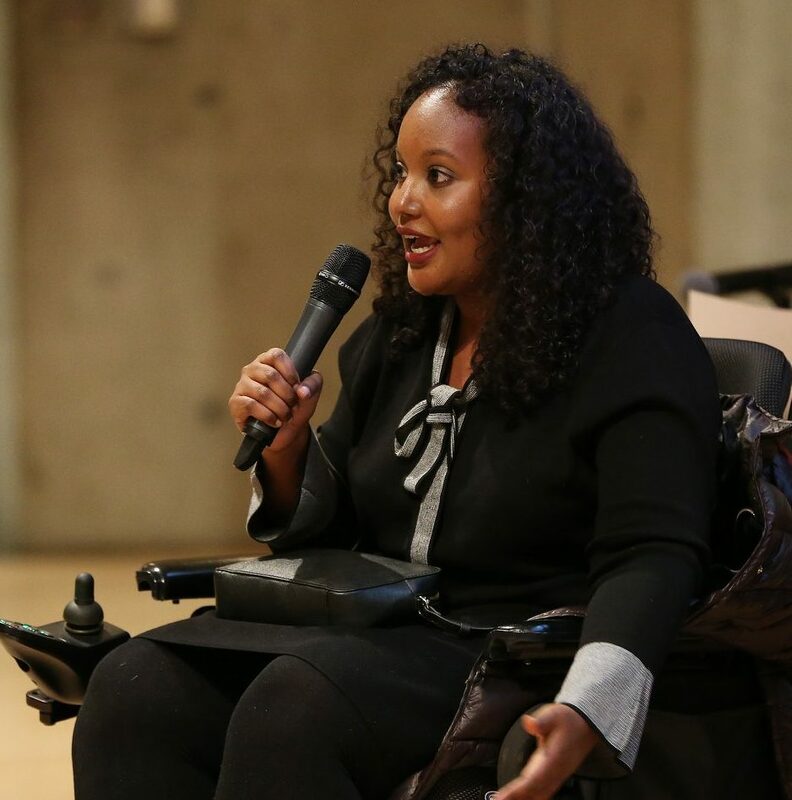 Sarah Jama, co-founder of the Disability Justice Network of Ontario, is from Hamilton, which has the largest population of people living with disabilities in Ontario. The displacement rate there has skyrocketed 95% in the last six years alone. Both in Hamilton and across the entire province, people living on Ontario Disability Support Programs and Ontario Works are in a position where they are forced to make an impossible decision. 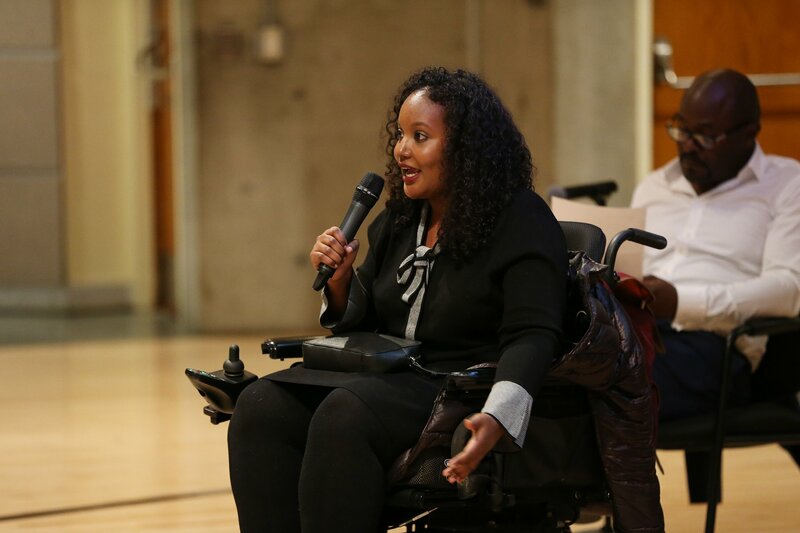 “There are people who make the choice of should I rent in this area, in a space that is not accessible, or should I move and try to find another place that’s affordable but doesn’t meet my needs,” she said. The other panelists echoed this point during the Q&A session, recognizing that housing as a right is a critical piece of the affordability discussion. Steve Gaetz added that to make it more than just hollow words, two things need to be in place: People need to have the legal right to sue the government if their rights are violated, and we need to be able to ensure that people who are marginalized are able to actualize their right. If you were unable to attend Under Pressure: 5 Ideas for Housing Now, you can still watch the livestream video on ONPHA’s Facebook page. Also, click here to view the photo gallery from the event. For more big ideas on how to solve our affordable housing crisis, read ONPHA and CHF Canada’s fully-costed Affordable Housing Plan for Ontario.